This year, Father’s Day falls on June 19. 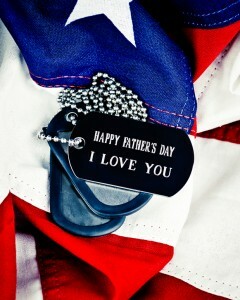 Are you ready to honor your father, husband, grandfather, uncle or other special dad? Take advantage of the many Father’s Day activities and events (some are free!) happening at military bases around the world, as well as cities throughout the country. See websites for complete details. June 19, 12 – 3 p.m.
Have brunch with the family at the historic Fort Hamilton Community Club overlooking the Verrazano Narrows Bridge and New York Harbor. June 19, 1 – 6 p.m. Spend Father’s Day afternoon bowling. Dads can play up to three games free when accompanied by a paying child. Dads can bowl up to two games for free. Dads can make Father’s Day crafts with the kids on Saturday, and then celebrate on Sunday with a Northwestern buffet breakfast. End the day with free bowling at Raindrop Lanes Bowling Alley. June 19, 12 – 6 p.m.
Give dad one free game of bowling on Father’s Day. June 19, 10 a.m. – 1 p.m.
Visit West Point Club overlooking the beautiful Hudson River for a Father’s Day brunch. Treat dad to a Father’s Day meal at one of Boston’s many great restaurants. To celebrate the day from a different perspective, climb aboard the Spirit of Boston for a Father’s Day brunch or dinner cruise. This Father’s Day restaurant guide lists some of the best places to celebrate the dads in your life. No matter what type of food he likes, there is sure to be something to please his palate. If you are going to be in the Big Apple on June 19, here are some fun and unique Father’s Day activities you may want to check out. From a Father’s Day Beer Brunch Cruise to the epicurean extravaganza Smorgasburg, there is something for everyone in NYC. Looking for some Father’s Day fun in the San Diego area? This page is your guide to lots things to do including brewery tours, golf, fishing and more. Happy Father’s Day from all of us at Omni!